A short simple post on two of the clock circuits used on Rainbow Islands. There are 3 x crystal oscillators on the Rainbow Islands PCB. This post will cover two of them. The third is used for selecting a chip enable line of some RAM in an elaborate way which I don’t fully understand right now. First lets look at the X2 Oscillator which is 12MHz. This is solely used as the clock for the C-Chip and simply goes though IC54, an inverter, into pin 20 of the C-Chip at 12Mhz. Easy! Next up is X1. This supplies the clock signals for the Z80 and the 68000. 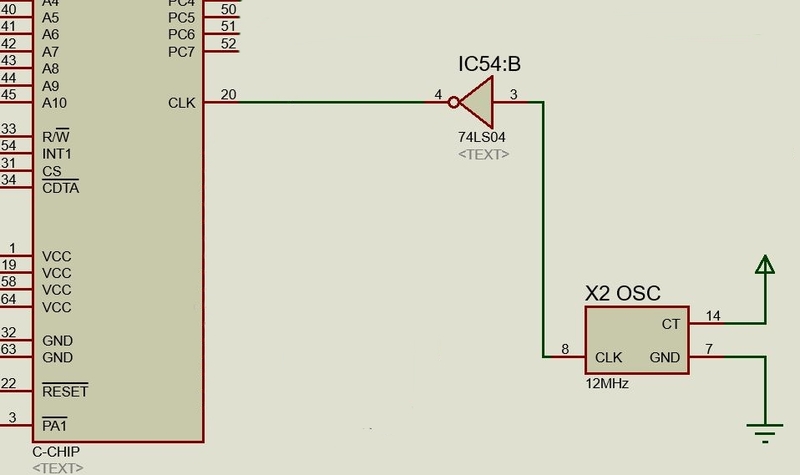 The 16MHz clock signal serves as the clock signal for a 4-bit binary counter at IC30. 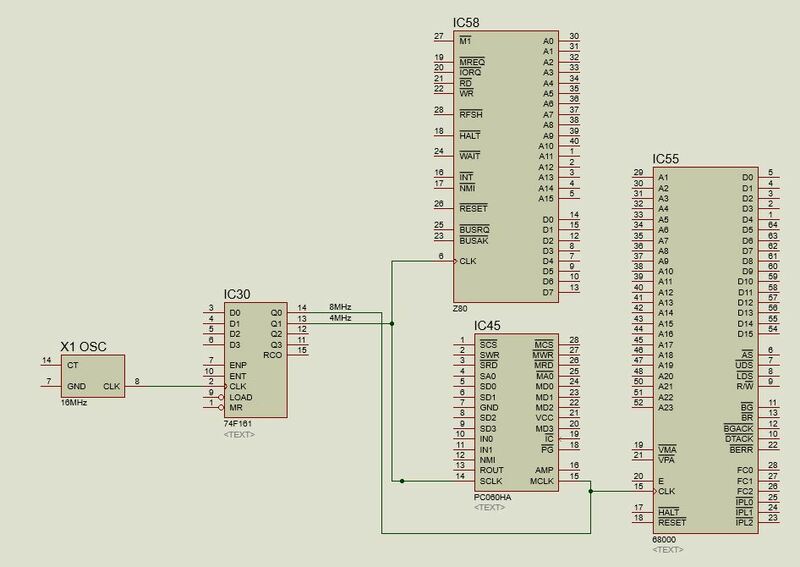 Output Q1 (pin 13) of this binary counter gives a 4MHz clock which is the clock signal for the Z80 sound CPU. Output Q0 (pin 14) of this binary counter gives out the 8MHz clock for the main 68000 CPU. Both of these clocks also feed into the custom PC060HA chip at IC45 on pin 14 (SCLK) and on pin 15 (MCLK). That’s all there is to this one.